The humidity levels in your home are a major factor when it comes to your family’s comfort. Too much humidity in the air can cause your skin to feel wet and sticky in hot weather and cold and clammy when it’s cooler. Too little moisture, and you’ll get dry, cracked skin that feels itchy and uncomfortable. Too much or too little humidity can also cause damage to your home and create health issues for your family. Maintaining the proper humidity of your home is important but it can be tricky. Here are some best practices for striking the right balance. The easiest, simplest way to check the humidity levels in your home is to gauge how you and your home feel. A musty smell or feeling physically sticky and uncomfortable are good indicators your humidity is too high. Conversely, cracks and splits in your wood floor, creaky floors, or feeling physically dry can all be signs of low humidity. If you want a more precise way to check the moisture balance in your home, there are tools to help. A hygrometer is a humidity gauge that is often built into the newer digital thermostats. It’s a precise way to check humidity and is typically displayed right on your thermostat. Some even have sensors that can control a whole house humidifier/dehumidifier to achieve the right humidity balance. Problems with low humidity generally occur in the winter months, when the outside air is its driest. When that air enters your home, it lowers the indoor humidity level. In addition to dry, cracked skin, some signs of low humidity can include scratchy throats, itchy eyes, and chapped lips. If prolonged, those symptoms can lead to infections, colds, and viruses. Your home can also show signs of low humidity. Beyond cracks in your floor and creaky floors, signs of low humidity can include gaps in molding, warped doors, split furniture, and peeling wallpaper, sealants, and glues. Just like skin, everything dries out and is open to further damage if not addressed. High humidity issues occur most often in summer, but can also occur in winter, especially if your home is very tightly sealed or if humidity is added by other means — steamy showers, vaporizers, and so on. If you notice condensation — or even ice buildup — on your windows, that’s an indication that indoor humidity is too high and the indoor window surface is too cold. Do your bathrooms or basements smell damp or musty? That means there isn’t enough airflow to wick the moisture and humidity away, so it stays put in the floors and walls of your home, which can lead to mold. So, no matter the weather — hot or cold — make sure your home is properly sealed. Fill in cracks around your foundation, put weather stripping around the windows, and seal the threshold of your doors and garage. Where air can escape, air can get in, and that means anything from outside (allergens, humidity, pollen) can enter your home. By reducing uncontrolled outdoor air (infiltration) you will maintain a more stable humidity level in the winter months, and may not need a humidifier. If you do need to add more humidity, you may be able to get by with an inexpensive room humidifier. They add moisture just fine but they require filling daily and frequent cleaning. A whole house humidifier refills itself, circulates the humidity throughout the house automatically and has self cleaning features to reduce the amount and frequency of maintenance. 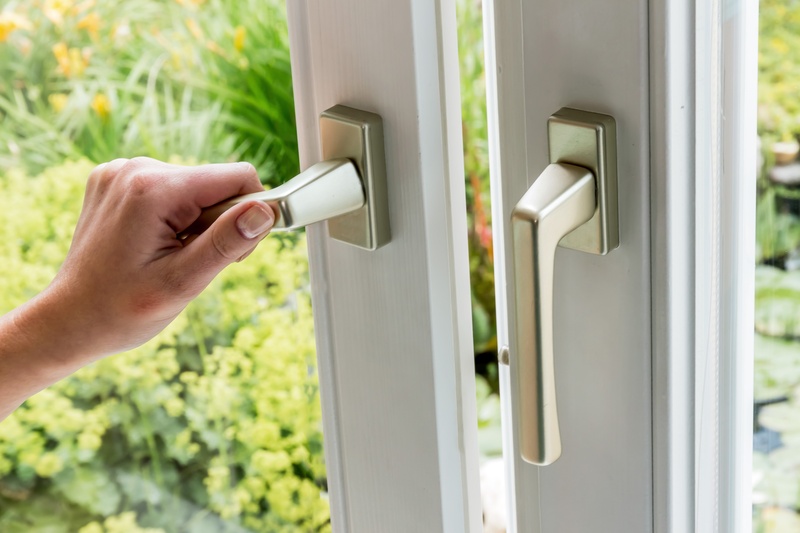 In summer, the first line of defense is to keep humidity from entering your home in the first place. That means when it’s humid out, keep the windows closed and run your AC to decrease humidity. Only when it is cool and dry should you open those windows for comfort. If your home is well sealed and you have properly working AC, that should keep your humidity in check during warm weather But what about those days when you have high humidity and there is no need for AC? Think rainy or foggy 70 degree day. Your air conditioner can’t dehumidify if it doesn’t run, but who wants to run their AC on a 70 degree day? Besides, you would have to “overcool” your home to remove moisture, pushing up your energy costs! Consider a dehumidifier, whether it’s a portable room model or a whole house dehumidifier. Either will get the job done on those “cooler” summer days. The room unit requires daily maintenance (emptying, filter changes, cleaning, etc) to avoid becoming a breeding ground for biological contaminants like mold. A whole-home dehumidifier system is a better, long-term solution. It offers more efficient, year-round control compared to standalone units. It’s installed as part of your HVAC system and is able to provide your entire home with balanced humidity. If you’re experiencing uncomfortable issues with your home’s humidity, contact your local Minnesota HVAC expert to help you find the right solution. Your family — and your home — will thank you for it!